It has arrived! 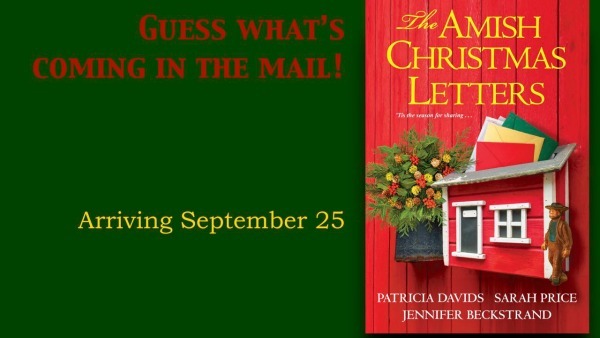 The Amish Christmas Letters, a collection of three novellas by some of your favorite Amish romance authors, is finally available in stores and online! 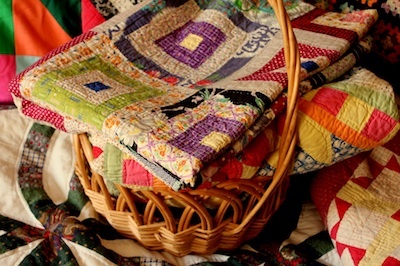 With Christmas around the corner, it’s time for Amish families to include holiday greetings in their circle letters, each writer adding to a growing collection as it travels on to the next. In this delightful trio of stories, three cousins scattered across the country share their blessings—and reveal news of romantic surprises . 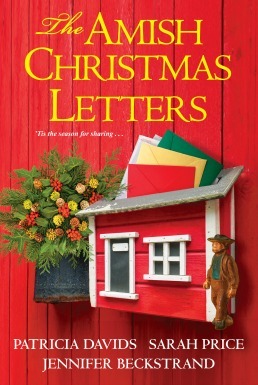 . .
To win a friendly annual competition, matchmaker Marybeth Martin must bring one more couple together by Christmas. Her only prospect is a man more interested in a nanny than a wife—until his little girl shows him the light. . . . Struggling farmer’s daughter Katie Mae Kauffman discovers that she and a local widower and father of four can harvest more crops—and profits—together than separately. But she’ll have to put pride aside to make room for unexpected love. . . . Corralling an unruly brood of seven is not babysitter Carolyn Yutzy’s first choice for celebrating the season—but the sparks between her and their unsentimental yet irresistible uncle may be a gift neither was counting on . . . .
Now, one by one, each resourceful young woman will have a holiday to remember—and to write home about . . . . In my story, “Sealed with a Kiss,” for sure and certain, Carolyn Yutzy wanted some excitement in her life, but caring for seven children in tiny Greenwood, Wisconsin is not her idea of fun, especially when she’d rather be spending Christmastime with her own family in Bonduel. Not only are her charges ill-behaved, destructive, and unlovable, but confirmed bachelor Aaron Stutzman thinks he can do a better job with die kinner even though he’s never changed a diaper in his life. Aaron is too annoyingly sure of himself, and Carolyn is about to put him in his place. Can she make it home for Christmas before she loses her heart to someone whose idea of showing affection is a pat on the head? Aaron Stutzman is unsentimental, unsympathetic, and unruffled by anything, except for maybe his brother Abraham and Abraham’s unruly, disorganized family. Abraham finally takes Aaron’s advice and hires someone to look after Abraham’s children, but the new babysitter won’t suit at all. She smiles too much, sneaks her broccoli to the dog, and eats raw cookie dough. She’s going to make herself sick. And when she looks at Aaron with those pretty brown eyes, she seems to see into his very soul. Abraham has got to get rid of the babysitter or Aaron just might accidentally fall in love with her. You are going to LOVE The Amish Christmas Letters. You can find it at Amazon.com and other online retailers. If you’re lucky, you can also find it at Walmart.